Determine the specifications and relevant drawings linked with the aircraft components. In addition, the job seeker is required to test and install the hardware and other components. Testing and replacing the components and aircraft oxygen system, if the need arises. Perform regular inspecting of the avionics and other systems like communication system, aircraft electrical and pulse systems, to name a few. The task may also involve manufacturing aircraft electrical and other components. An AQF Certificate III or relevant qualification, whichever is applicable. Registration or licensing is a vital aspect. Other job titles are Aircraft Maintenance Engineer (Electrical, Instruments and Radio). It is listed on the Migration Occupations in Demand in Australia (MODL) that makes it one of the most preferred occupations. It is also on the Skilled Occupations List (You can also consider applying for Skilled Migration to Australia as your option). You get a sponsorship from an Australian business for your PR Visa Employer Nomination or an Australian or overseas business can sponsor you under the Temporary Business Sponsorship. These are just the basic requirements. There are some other facets that are linked with the option of working as an Aircraft Maintenance Engineer (Avionics) in Australia. 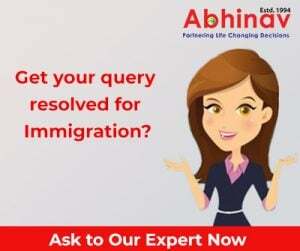 One can also take assistance from an Immigration specialist to know more about the application forms. i have completed my ame cource from india. i want to join the austrlian aviation. kindly reply me. Hello, my name’s susan mipari and I have experience as ame avionics on DHC-8 and DHC-6 electrical,instrument and radio systems.I’d love to live and work in australia,how do I find sponsors?